Last month, our friends at RBN Energy held a conference in Houston (of course) to bring together people interested in the development of crude oil, natural gas and natural gas liquids from the Permian Basin in West Texas. 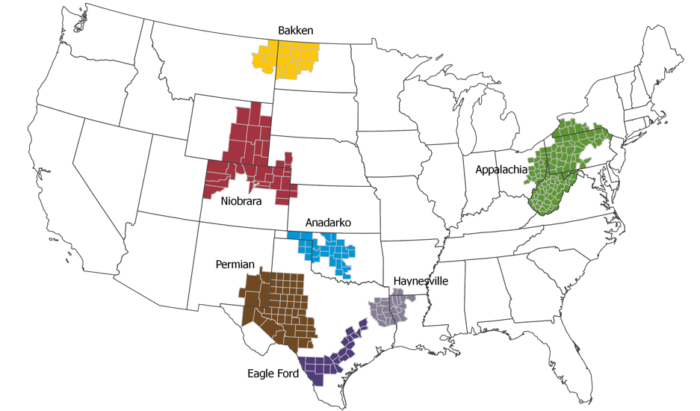 The Permian has been a producing area for a hundred years but has seen renewed activity with the advent of horizontal drilling and hydraulic fracturing. Many think it is the second largest oil field in the world after Ghawar in Saudi Arabia. 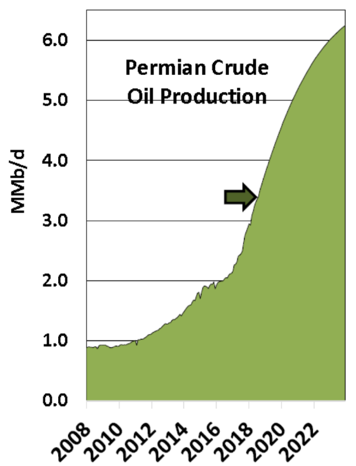 On crude oil, the Permian is producing about 3.5 million barrels per day of West Texas Intermediate crude oil, and RBN is forecasting that production to go to over 6 million barrels per day by 2024. There is a huge scramble to build pipeline capacity to move this oil to market on the U.S. Gulf Coast. Since the U.S. refineries east of Rockies are full of light sweet crude oil, because of the “Shale Revolution”, all this crude oil will be exported to markets outside of the U.S. Meanwhile, refiners in California refine about 1.7 million barrels per day to meet transportation energy demand. The crude oil they run comes from production in the state and offshore federal waters, Alaska North Slope, and the balance (about a million barrels per day) is imported to refineries in San Francisco Bay and Los Angeles/Long Beach Harbors. 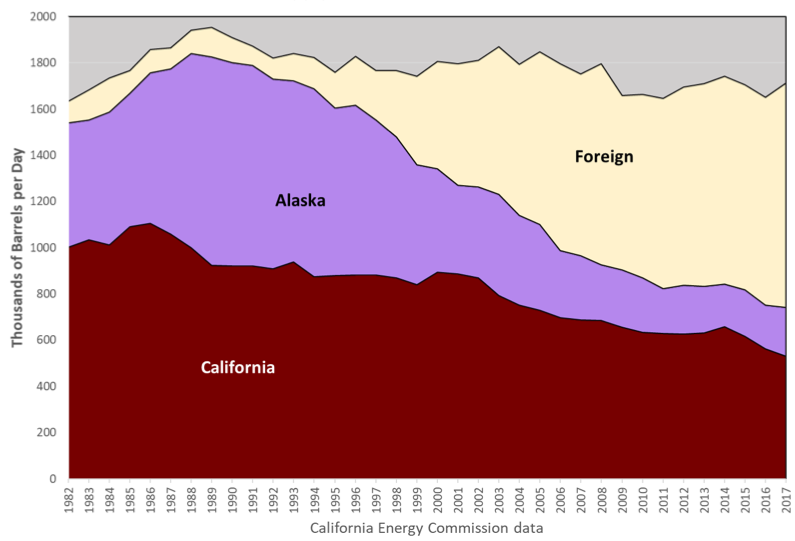 Figure 3 shows the decline in California crude oil production, along with the drop in supply from Alaska as that state’s production has also declined. Foreign crude makes up the difference. The main suppliers to California from abroad are Saudi Arabia, Ecuador, and Iraq. There are no crude oil pipelines connecting California with the rest of the country. The Texans are building about 5 million barrels per day of pipeline capacity to the U.S. Gulf Coast, but none to the West Coast. Back at the RBN conference, I took advantage of a panel of industry leaders to highlight that California is importing a million barrels a day, but they aren’t looking to build a pipeline to the state. Why? There is no pull from the California refineries. The California refineries are configured to run a heavy sour crude slate and can’t optimize on a light sweet crude like WTI without investing in different refining technologies. Getting a permit to construct new facilities in a California refinery is expensive and time-consuming. One of the panelists, a refiner, said his firm decided to not restart their refineries in California, but would deploy their capital elsewhere. Crude oil producers want the option to export to the Pacific Basin. Permitting issues make it unlikely that crude oil export facilities can be constructed in California. The panel was very clear that there is no way to get a pipeline built in California. Another of the panelists, the CEO of a North American pipeline company, made a wry face when talking about doing business in California. In short, they have better opportunities elsewhere. Bottom line: California’s reliance on crude oil imports will continue to grow while record volumes of oil are exported off the Gulf Coast.